What could be happier than a rainbow? I’m one of those people who loves rainy days…I watch the forecast and look forward to the rain. The smell in the air, the way the lights look in the house when it is kinda dark outside, and as a runner I prefer to run in a light drizzle. I know, weird huh? I am also that person who loves a crystal clear sunny day where we stay outside all day…I think I just don’t like the in-between days, you know, kinda cloudy with no rain and just dreary. The ideal day is a light rain in the morning, so I can run in it, then the sun peeps through and the rainbow magic begins! Having girls who truly believe there is gold at the end of the rainbow makes things even more magical. They also believe in little leprechaun’s who are after that illusive pot of gold! 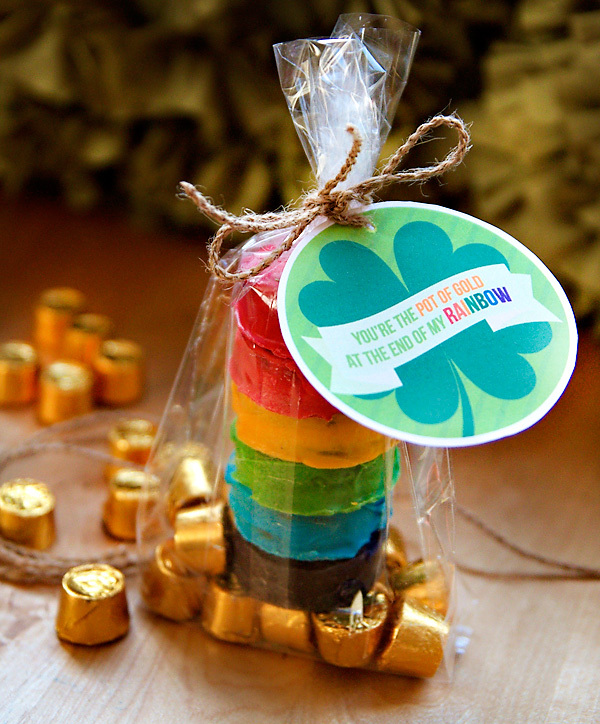 I found a fun project that gives you a guaranteed pot of gold at the end of the rainbow! 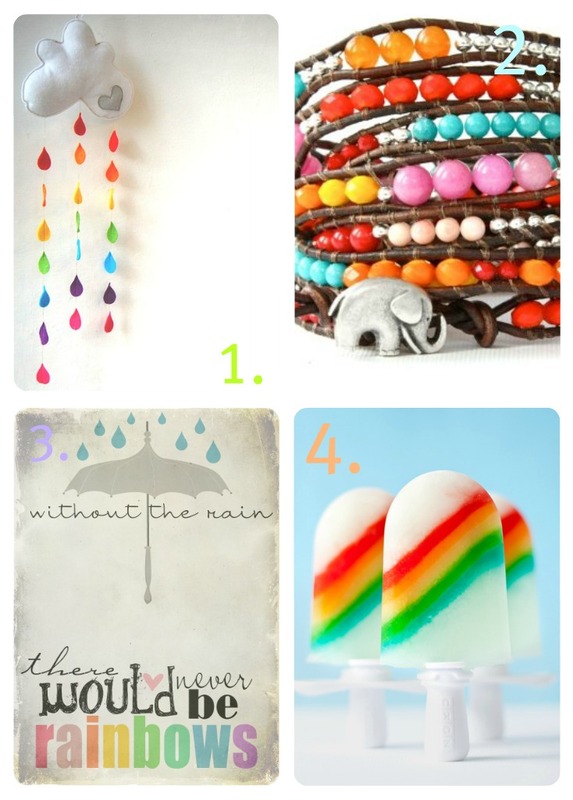 This clever little project comes from one of my favorite blogs, Hostess with the Mostess. Jen St. Claire of Little Sprout Creations was the contributor for this fun idea at Hostess with the Mostess. She was also nice enough to include a link to her free printable gift tags!! Yay!! The tags make it extra special!! Have fun!! Next > Sweet Paul Spring Issue!! !